This plugin integrates Razorpay payment gateway with J2Store Joomla eCommerce solution. It offers a fast, affordable and secure way for ecommerce to accept payments online. Use the API key associated with your Razorpay account. Use the secret key associated with your Razorpay account. 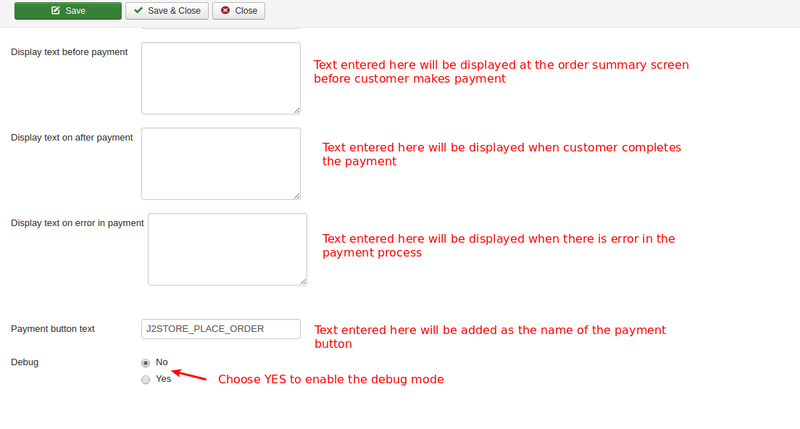 Set YES to use the Razorpay in test mode instead of live mode. 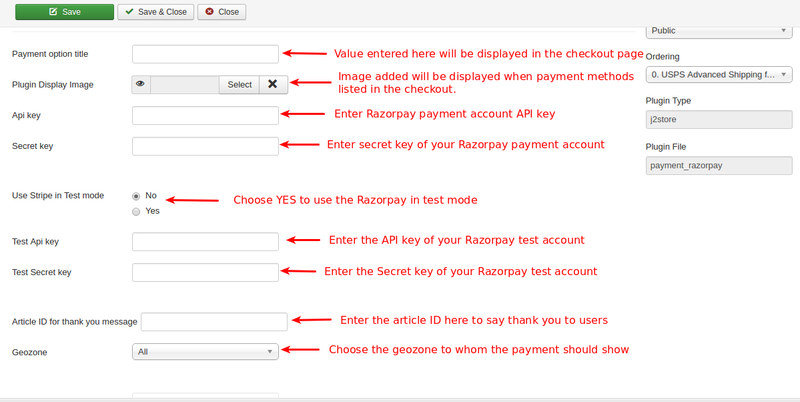 Enter the API key associated with your Razorpay test account. Enter the secret key associated with your Razorpay test account.